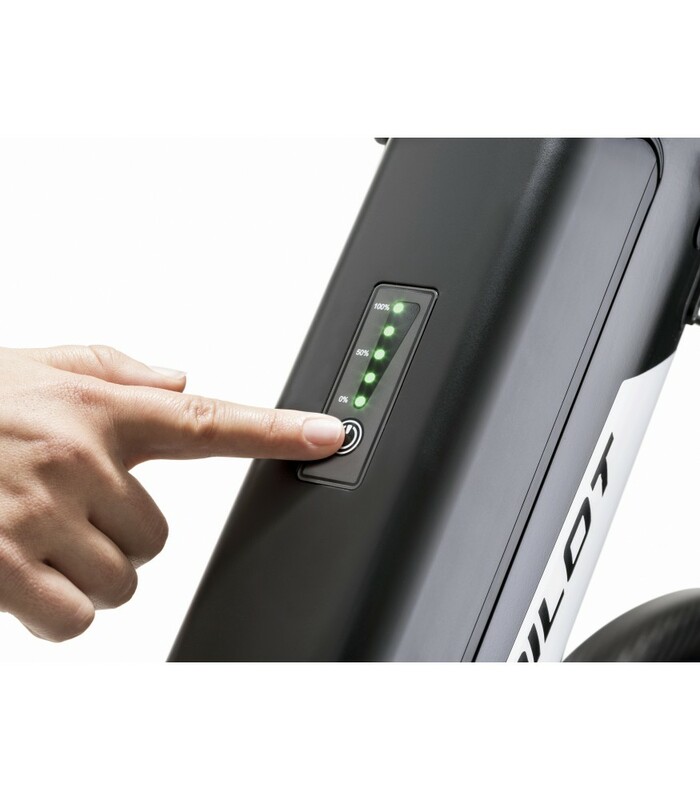 The EPilot is Alber's newest flagship power assisted hand bike. 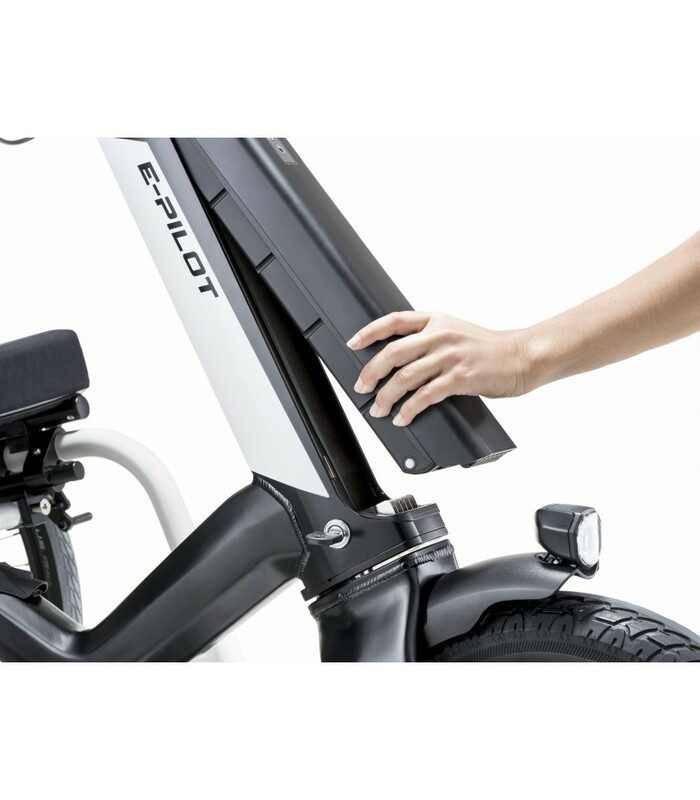 The e-pilot boasts two brakes, lights, a horn, USB connection, an easily removable battery pack and is fully customisable with the extensive range of optional accessories. 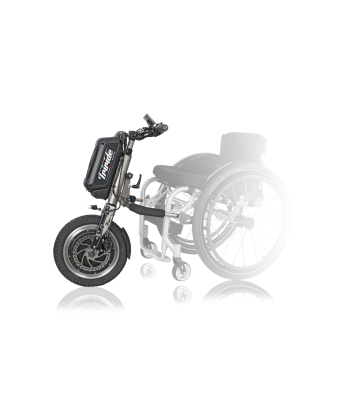 With the e-pilot you get the choice whether to use your manual chair as standard, or to attach the e-pilot to go further and arrive faster. Whether it's a quick trip into town, a catch up with friends or heading out with the dog, the e-pilot makes it happen with minimal effort and ultimate style. 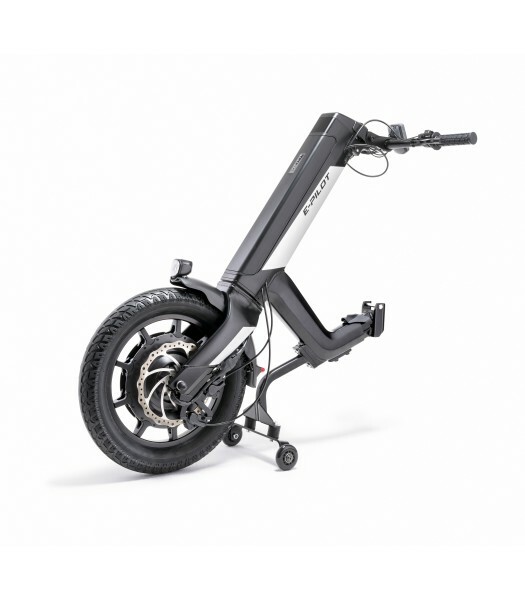 Long or short journeys, the discrete lithium-ion battery pack gives maximum flexibility with a range of up to 50km! 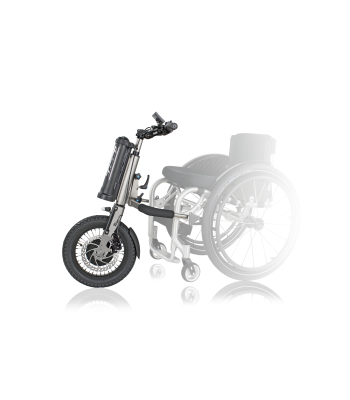 It also gives you the ability to master everyday obstacles such as kerbs with the strong, efficient front wheel and powerful drive. Simply beautiful – the sleek design can be enhanced even further with a choice of 11 colours and an extensive range of accessories, allowing you to personalise the e-pilot to match your individual style and preference. Option to include the Mobility Plus Package, designed to get you to your destination quickly and efficiently with a range of useful features. 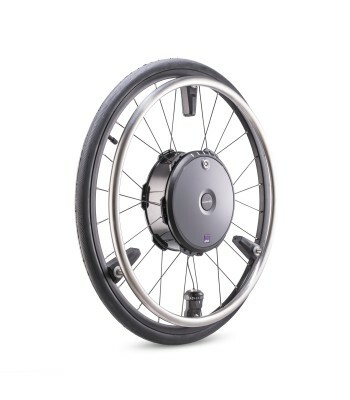 The ability to connect the e-pilot to a smartphone means you can take advantage of EasyNavi - the wheelchair-friendly navigation system as well as use the cruise control function for an effortless, comfortable drive experience. 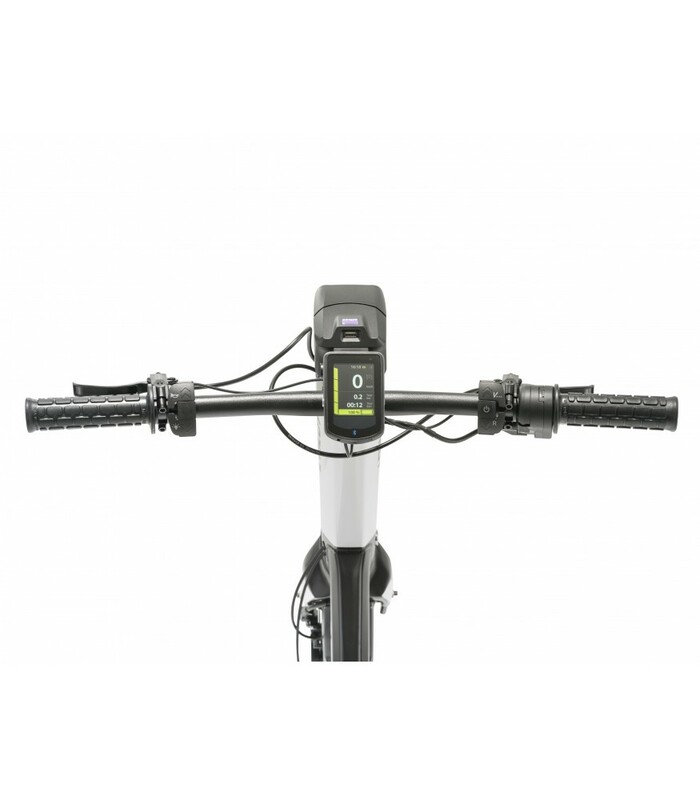 The package also allows you to increase your speed up to 20km/h* to keep up with your active lifestyle.